At The Academy of Racing, we are committed to making an impact on the youth in our local communities. That's why we have partnered with the Boy Scouts of America to provide a fun, and interactive way to earn badges while learning about STEM education. 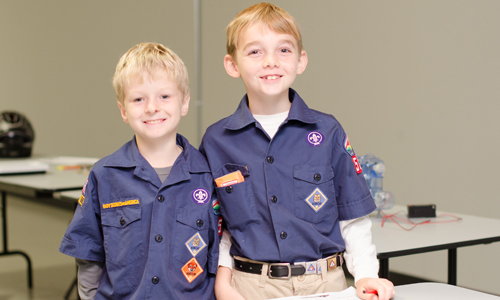 Scouts will be broken up into groups of 12 and rotate through 4 stations to earn a Cub Scout Belt Loop. The Program costs $25 per child and includes a race, Cub Scout badge and diploma. This is a 2 hour program, going from 9am - 11am. Find out more info and register your scout HERE.